EuroGeographics is fortunate to count a wealth of experts in geospatial, cadastre and land information among its membership. These include our Management Board, Secretary General and Executive Director and the Chairs of our Knowledge Exchange Networks. We can help you to access a number of professionals who are willing to share their knowledge and insight in a wide range of subjects. These include policy, European initiatives, surveying, data quality, positioning (GNSS) and pricing and licensing, as well as the future challenges and opportunities for National Mapping, Cadastre and Land Registry Authorities. Future roles for National Mapping, Cadastral and Land Registry Authorities. Political and policy benefits of harmonised European data and data services from official national sources. 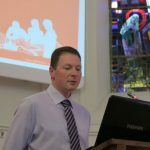 Colin Bray is Chief Executive Officer and Chief Survey Officer of Ordnance Survey Ireland (OSi). He has more than twenty years’ experience in strategic geospatial information management and has led OSi since 2013, having joined in 1998 as a professional surveyor and subsequently held the position of Chief Technology Officer . Colin represents Ireland on UN-GGIM and is a member of UN-GGIM: Europe’s Executive Committee. He holds a Master of Science Degree in Management/Organisational Behaviour, a European Honours degree in Geodetic Engineering, and a Diploma in Geo-Surveying. He was the first Chartered Geomatics Surveyor to become President of the Society of Chartered Surveyors Ireland (SCSI). Colin is an English speaker. Geospatial map, land and geospatial information from official national sources in the age of Big Data and Internet of Things. Realising the value of geospatial map, land and geospatial information from official national sources for the public good. Mick Cory was appointed Secretary General and Executive Director of EuroGeographics in 2015. 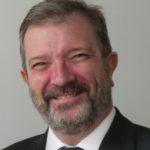 Mick is a Fulbright Scholar, holds a Postgraduate Diploma in Company Direction and a Masters (MPhil) in Land and Geographic Information Systems. He has extensive expertise in leadership, surveying, mapping and GIS following assignments in Africa, the Middle East and all three Ordnance Surveys of Britain and Ireland. 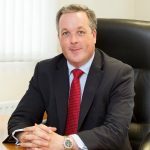 In addition, he has advised Ministers, the Boundary Commission in Northern Ireland, government departments and academic institutions, and has been active in developing professional institutions in the UK and Ireland. As Chief Executive of Ordnance Survey of Northern Ireland, he led the development of Northern Ireland’s geographic information strategy. 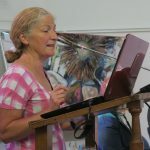 Mick also established and chaired the UK Location User Group and, as a member of the Open Data User Group, advised the UK Government on achieving the greatest economic and social return from the release of public sector open data. Between 2005 and 2014, Mick was Director of the Sports, Museums and Recreation Division of Northern Ireland’s Executive Department of Culture Arts and Leisure. Here he had responsibility for Sport, Museums, Libraries and inland fisheries, including representing Northern Ireland on the London Organising Committee for the 2012 Olympic and Paralympic Games. Mick speaks English, French and Spanish. Quality as the ‘calling card’ of National Mapping, Cadastral and Land Registry Authorities. 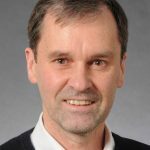 Data quality expert, Jonathan Holmes is Chair of EuroGeographics Quality Knowledge Exchange Network. 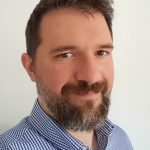 Jonathan is Corporate Data Manager at Ordnance Survey, He joined Britain’s Mapping Agency in 1986 as a surveyor and, following roles in IT and Information Management, began working with data and data quality in 2001. As Chair of the Quality Knowledge Exchange Network, Jonathan leads a European network of data quality experts who share best practice and exchange experiences to support data interoperability. The expert group is particularly interested in the challenges associated with an increased use of technology and its impact on quality systems. Tracking and sharing information about these is a key focus for its members. Jonathan is an English speaker. Implications of Digital Single Market for National Mapping, Cadastre and Land Registry Authorities, in particular copyright reform, Database Directive and the Reuse of Public Sector Information. EuroGeographics Policy Development Manager, Dominik Kopczewski Chairs the Policy Knowledge Exchange Network. He has extensive experience in a wealth of international and regional issues, including UN-GGIM and Open Data. The Policy Knowledge Exchange Network and its specialist working groups gather and share information relating to European and global policy developments. In particular, they track, evaluate and constructively participate in European initiatives, programmes and policies. These include the Digital Single Market, Reuse of Public Sector Information and the Database Directive. Dominik speaks Polish, Russian and English. Implementation of INSPIRE by National Mapping, Cadastral and Land Registry Authorities. Dominique Laurent from National Institute of Geographic and Forest Information (IGN), France chairs EuroGeographics INSPIRE Knowledge Exchange Network. Dominique is technical coordinator of UN-GGIM: Europe’s working group on core data. She has been involved in the INSPIRE Directive for more than a decade, first as a member of the Drafting Team for Data Specifications and then as facilitator of Thematic Working Groups on Cadastral Parcels and Buildings. In addition, Dominique has contributed to many INSPIRE-related projects such as ESDIN, Humboldt and the European Location Framework. The purpose of the INSPIRE Knowledge Exchange Network is to help members to implement the Directive by following the development of the regulations, establishing a network of INSPIRE experts and sharing experiences and best practice. Dominique speaks French and English. Use of geospatial information from official national sources for emergency mapping. Anders is CIO and Director at the Swedish Mapping, Cadastral and Land Registration Authority. He has extensive experience in ICT and marketing management with a particular emphasis on change management and optimisation. As Chair of the Copernicus Knowledge Exchange Network, his focus in on enhancing coordination and communication between EuroGeographics and the European Environment Agency (EEA). The aim is to facilitate access to authoritative geospatial in situ reference data for use in activities initiated by EEA and the European Commission’s flagship initiative for earth observation and monitoring, Copernicus. The Network is also evaluating the Copernicus services’ requirements for geospatial data to identify data gaps and propose solutions. Anders speaks Swedish and English. Economic and social benefits of integrating land information. Impact of disruptive and digital technologies on land administration and management. 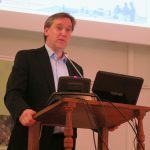 Cadastral Surveying expert Dr Daniel Steudler is Chair of EuroGeographics Cadastre and Land Registry Knowledge Exchange Network. Daniel, who holds a PhD degree from the University of Melbourne, Australia, is a scientific associate at the Swiss Federal Office of Topography (swisstopo), working for the Federal Directorate for Cadastral Surveying. As an active member and since 2017 also Honorary Member of the International Federation of Surveyors (FIG), he is well known as a conference speaker whose work has been widely published. Daniel leads the Association’s collaboration with the EU Permanent Committee on Cadastre (PCC), the European Land Registry Association (ELRA), the European Land Information Service (EULIS) and the Council of European Geodetic Surveyors (CLGE) to establish a common vision for cooperation on cadastre and land registry. Daniel speaks German, English, and French. The European Positioning System, GNSS and the use of ETRS89. EuroGeographics Services Development Consultant, Dr Saulius Urbanas facilitates the Association’s Positioning and State Boundaries of Europe Knowledge Exchange Networks. He has more than 20 years technical and management experience in the fields of geodesy, GIS/CAD, spatial data infrastructure, real estate cadastre and remote sensing. Saulius is Secretary General of the International Coordinating Committee of Struve Geodetic Arc and has held senior positions in both the private and public sectors, including Director of the Geodesy and Cartography Department at the National Land Service of Lithuania and national contact point for INSPIRE. Comprising CLGE, EUPOS, EUREF and EuroGeographics, the Positioning Knowledge Exchange Network provides a forum for discussion and chairing information. The State Boundaries of Europe Knowledge Exchange Network aims to deliver boundary-related information from harmonised cross-border national spatial data. Saulius speaks Lithuanian, Russian and English.